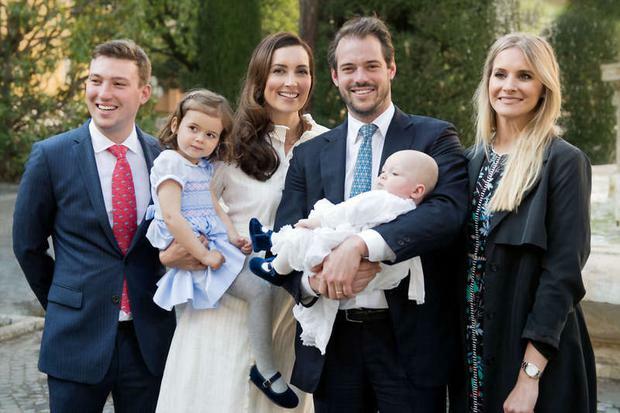 Princess Claire of Luxembourg channelled her inner Kate Middleton at the royal christening of her four-month-old son, Prince Liam. Kate's signature 'bouncy blow dry' may be difficult for us mere mortals to recreate but royals can carry it off with aplomb as Luxembourg's Princess Claire proved with her impeccably sleek waves. Bearing a striking resemblance to the Britsh royal, Princess Claire cut an elegant figure as she attended the christening of her four-month-old son Prince Liam. 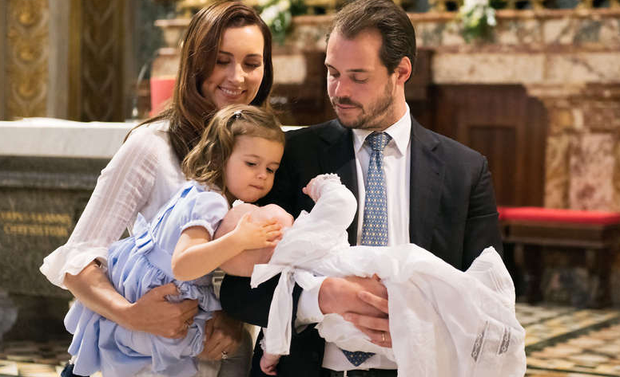 The young royal was baptised at St Peter's Basilica in the Chapel of the Choir on Wednesday but it was his sister, Princess Amalia (four), who stole the show. The little princess tended to her brother during the ceremony, even patting him on the head during the baptism. But the event proved to be too long and tiresome for the four-year-old and she eventually plonked herself down on the altar steps for a much-needed respite. 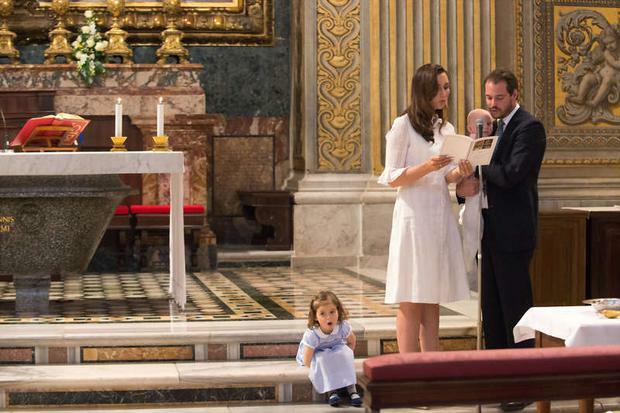 It was one of the first royal baptisms at the Vatican in recent years. 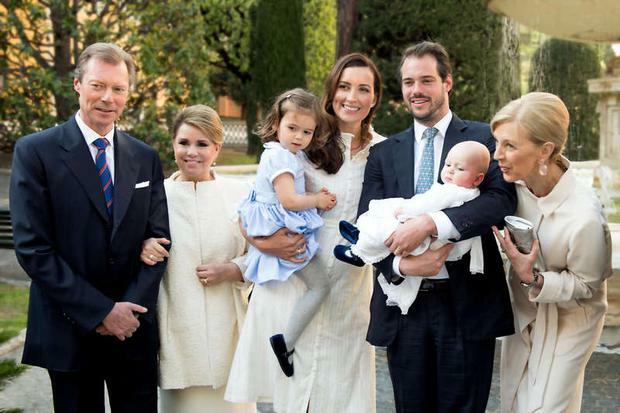 Among the royals in attendance were Grand Duke Henri and Grand Duchess Maria Teresa of Luxembourg; their four other children Prince Nikolaus, Princess Margaretha, Princess Maria Anunciata, Prince Josef and Princess Maria-Astrid of Liechtenstein. 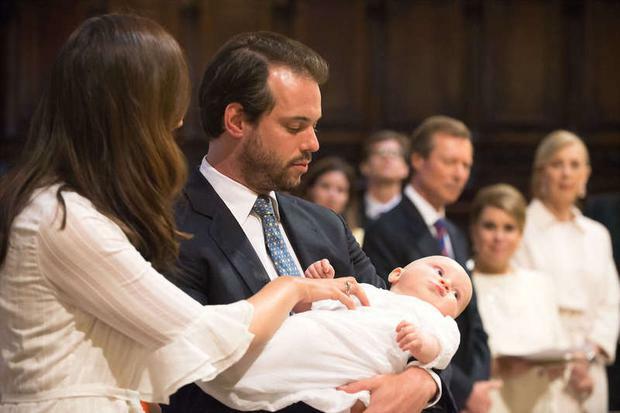 His godparents, Felix's brother Prince Sebastien and Anna-Maria Pamin, also took part in the ceremony. 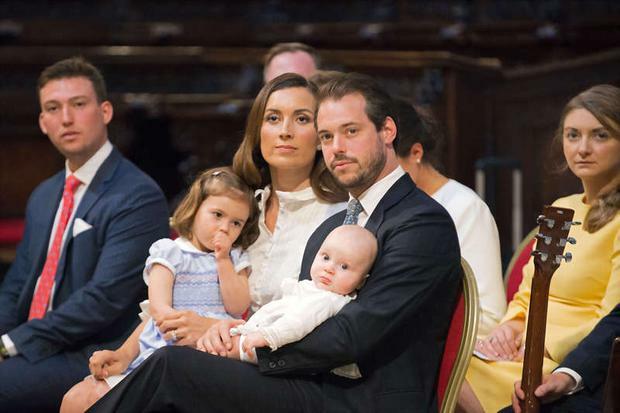 The young royal, whose official title is Prince Liam of Nassau, is fourth in line to the throne after his uncle, Hereditary Grand Duke Guillaume; his father Felix and his sister, Princess Amalia. 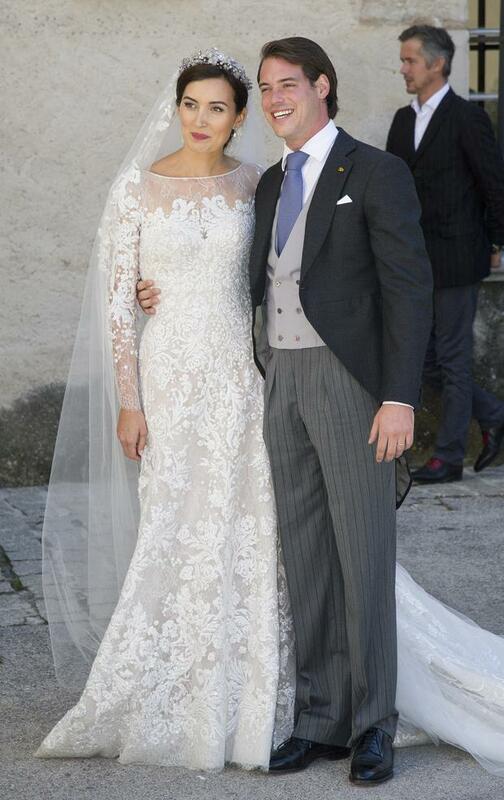 Claire married Felix in a lavish royal wedding in the South of France in 2013. The doctoral candidate is the daughter of telecommunications mogul, Hartmut Lademacher, and met Felix when they attended the same boarding school in Switzerland. She worked for Vogue magazine and pursued a master's degree in bioethics from a university in Rome and is fluent in German, English, French and Italian. Since their royal wedding, the couple have been living in the South of France, at the Chateau Les Crostes where they manage a winery.